Nigeria: CAN Crisis Deepens - kaycee Weezy! The crisis rocking the Christian Association of Nigeria worsened on Wednesday as the association told the Catholic Church to go ahead with its decision to pull out of the association. The Catholic Church recently decided to pull out of CAN, alleging that the Christian body no longer stood for the objectives for which it was set up. The Administrator of the Catholic Diocese of Abeokuta, Monsignor Christopher Ajala, on Tuesday, alleged that CAN had become an arm of government. 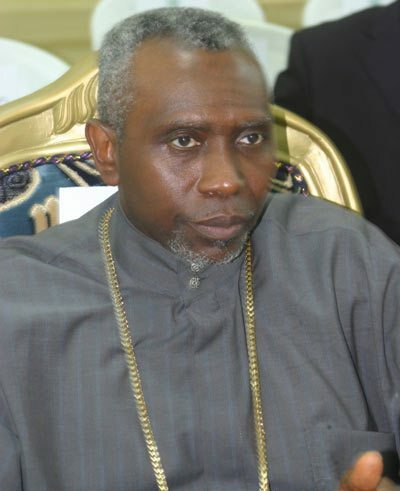 But CAN blamed the Catholic’s action on the loss of the Presidency of CAN to Pastor Ayo Oritsejafor. The Public Relations Officer of the 19 Northern States of CAN and Abuja, Mr. Sunny Oibe, in an interview with journalists on Wednesday in Abuja also accused Catholics of arrogance. He said, “There are some certain elements in the leadership of CAN led by Cardinal John Onaiyekan because he lost CAN Presidency to Oritsejafor who has a lot of achievements. “There is no need for anybody to lose sleep over the threat by Catholics to pull out of CAN because without them CAN will still continue. The constitution of CAN makes provision that membership can be terminated by any group that is misbehaving or any group can also terminate their membership. “Why is it that when Catholics were in the leadership of CAN, every bloc supported them, but now because power has changed hands, they are threatening to pull out and causing confusion? Accordding to Oibe who is also the spokesperson for the President of Tarayar Ekklisiyar Kristi A Nijeriya, a conglomeration of 13 church groups in CAN, Catholics should not mislead the public even if they want to pull out.